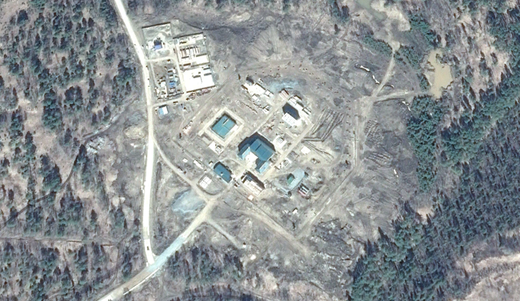 Russia is moving fairly quickly to complete construction of an early-warning radar in Yeniseysk/Krasnoyarsk. The recently updated Google Earth imagery shows the almost completed radar site - it is at 58.506095° 92.046072° (many thanks to BR for locating the radar). It is Voronezh-DM radar, similar to those built in Armavir and Kaliningrad (this was already noted in the comments last year). The radar is a bit to the West from the Yeniseysk-Ust Kem line along the Yenisey river (and it is about 4 km from Ust Kem, not seven, as was stated in some documents). 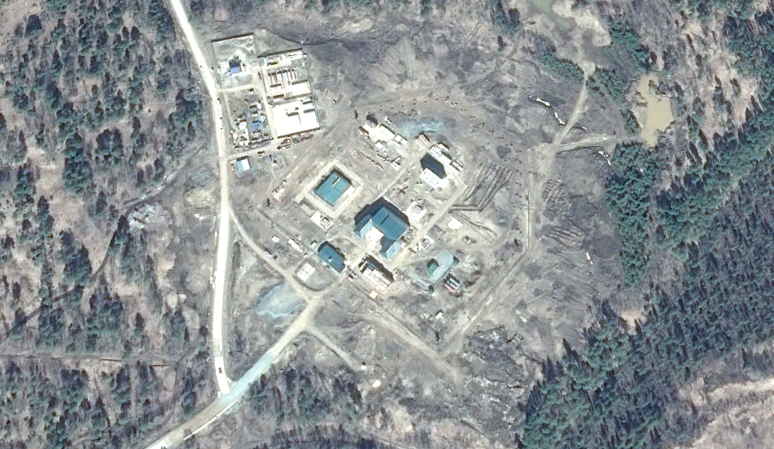 The Yeniseysk site looks very much like the one in Barnaul, where another Voronezh-DM radar is being built. Both radars are expected to begin operations in 2014. Any idea what the V shaped builings are to the NE? I think you are talking about Mishelevka?! This is the old "Hen House" Radar. Bernd: Daugava is a prototype transmitter station for Daryal. The only one was deployed in Olenegorsk.